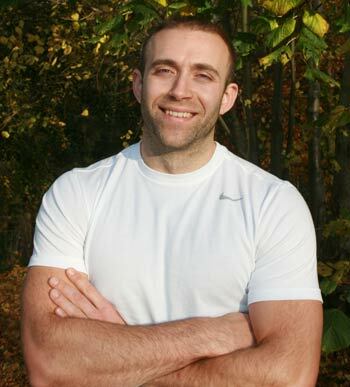 Meet Alex Graham, Anytime Leisure's resident personal trainer, sports scientist and expert sales manager. Alex joined Anytime leisure in June 2013, as a sales manager based at our head office in Newbridge, Edinburgh. As well as being a key part of our internal sales team, Alex is one of the members of staff who has an absolutely exceptional knowledge about training and fitness. As well as his day to day role at Anytime Leisure, Alex holds a Level 4 REPs Personal Training Certification and has a 1st Class Honours Degree in Sport and Exercise Science from Heriot-Watt University. "For my REP's Level 4 Qualification I focussed on Cardiac Rehabilitation, but I still have a strong interest in a wide range of other areas. Fat Loss, Nutrition and Strength Training are three main themes that a lot of my work and research over the years has been geared towards. I've worked in a variety of sport and fitness environments as a PT and instructor. I've worked in large chains like Virgin Active as well small independent gyms, both teaching group exercise classes and delivering one-to-one training." Alex, a keen weightlifter, rock-climber and competitor in Brazilian Ju-Jitsu, has also experience from working as Strength and Conditioning Intern at SPL football team Heart of Midlothian. His expertise also led him to undertake some nutrition and fasting research for celebrity nutritionist and 'Something for the Weekend" TV presenter Amanda Hamilton. This entry was posted in Knowledge & Advice, Training Guides on 15th November, 2013 by Colin Evans.